Being developed near the premium locality of Prahlad Nagar, Riviera Blues is a thoughtfully designed residential project by Goyal & Co and Poddar Group. The project offers skillfully designed and spacious 4 BHK apartments. Offering 208 residential units, Riviera Blues is a low density project with 4 residential towers, each with 14 floors. It is an architectural marvel from the reputed architect, Apurva Amin. The project spreads boundaries across lush green areas of SG Highway & Surroundings, and offers properties available in the area range of 2750 ?  2940 Sq. Ft.
Prahlad Nagar is a peripheral area of Ahmedabad. It is located close to SG Highway which connects it to Gandhinagar and Ahmedabad, making it the ideal place for dwelling. Prahlad Nagar is home to a number of shopping malls, entertainment and recreational centers, apart from the basic comforts. This financially strong region with some great town planning is expected to become the epicenter of residential real estate activities in near future. 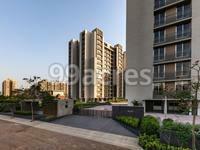 Ahmedabad has been quite a head turner with its impeccable growth in the real estate segment. With a number of new urbanized localities and some quality projects being launched, it can be said that the property market of Ahmedabad is a goldmine for the property investors. Peripheral areas of Ahmedabad have seen residential developments backed on the growing IT segment of the city. Both demands and supplies have been reaching the sky. So, if you are a homebuyer looking for investing in the outer localities of Ahmedabad, consider investing in the areas along localities like Bodakdev, Ambli, Prahlad Nagar, Ambavadi, Satellite and SG Highway. These locations have numerous ready-to-move-in as well as upcoming residential and commercial projects. In which area is Riviera Blues located?The project is situated in Prahlad Nagar, SG Highway & Surroundings. What is the area of apartments in Riviera Blues? The area of apartments offered in the project ranges from 2750.0 sqft to 2940.0 sqft. How much is area of 4bhk in Riviera Blues? The area of 4BHK units in the project varies from 2750.0 sqft to 2940.0 sqft. 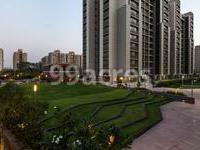 What is price of 4 bhk in Riviera Blues? 4 BHK apartments in the project are available at a price of Rs. 15331250 to Rs. 19110000. What is the price of flats in Riviera Blues? Average unit prices in the project stand between Rs. 15331250 and Rs. 19110000. How many towers are there in Riviera Blues? There is 4 tower in the project, which offer a total of 208 housing units.